Hello, everyone. Trip I of Wetpixel Ultimate Indonesia 2012 just finished, and I'm back in San Francisco after 6 flights (starting in Kaimana). 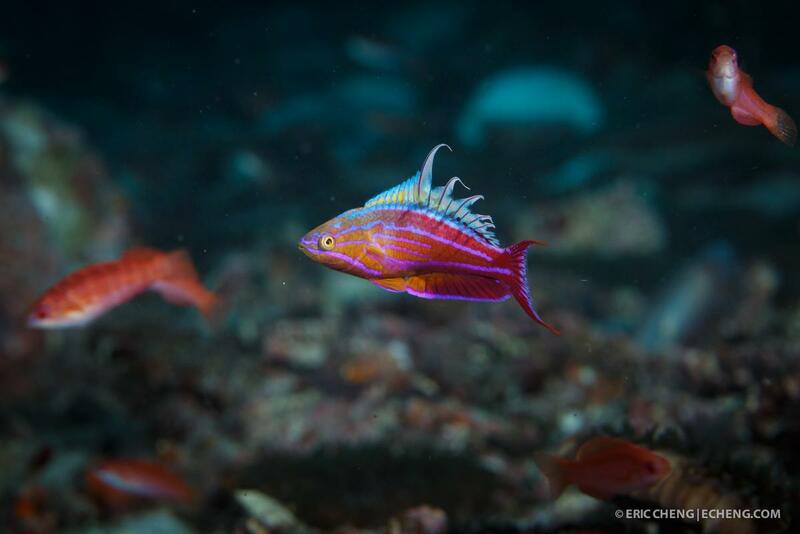 We spent 12 nights diving from Ambon, Banda, Momon, and Triton Bay. Here's the trip slideshow. Enjoy! 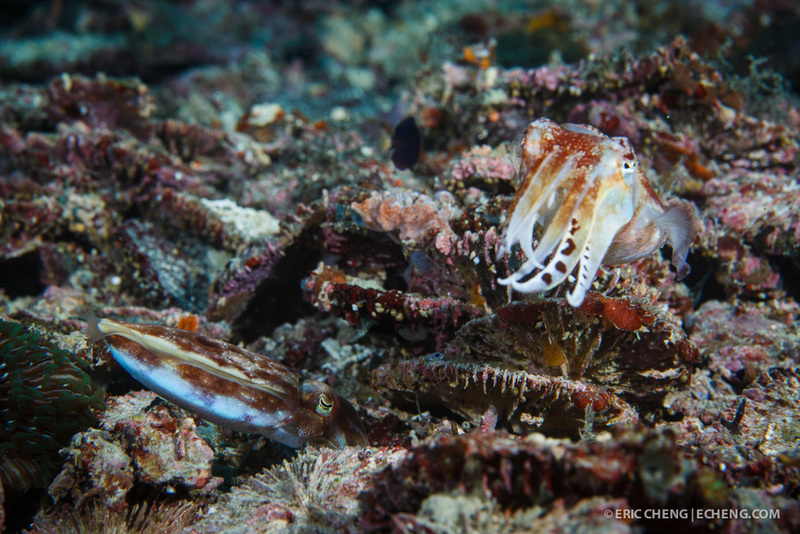 A broadclub cuttlefish (Sepia latimanus) hides by an anemone. Laha 1, Ambon, Indonesia. 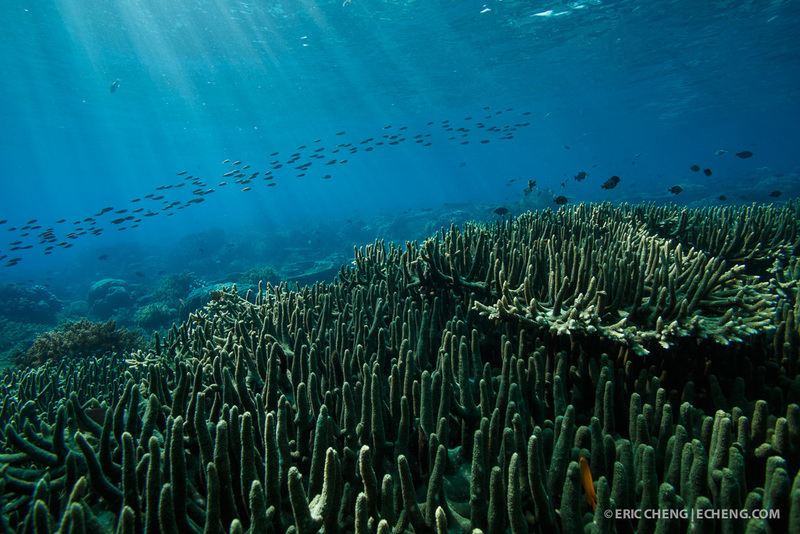 Fuseliers stream through a hard coral garden at Amed, Nusa Laut, Indonesia. 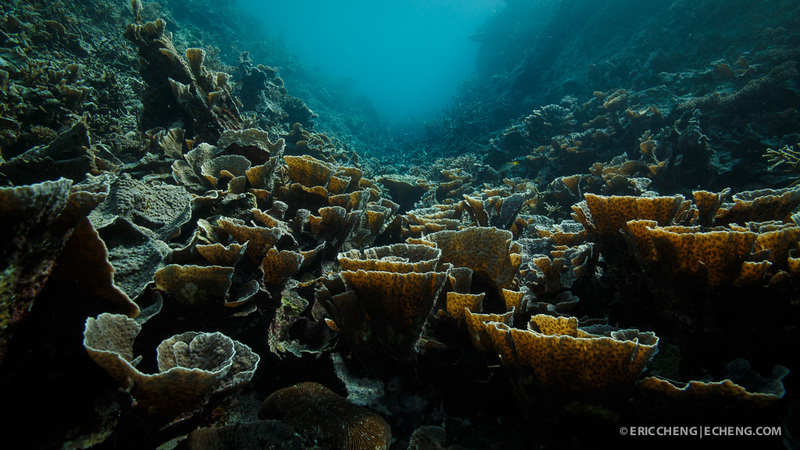 Beautiful hard coral formations in a protected valley just off of Gunung Api volcano on Banda Neira in the Banda Sea, Indonesia. November 29, 2012. 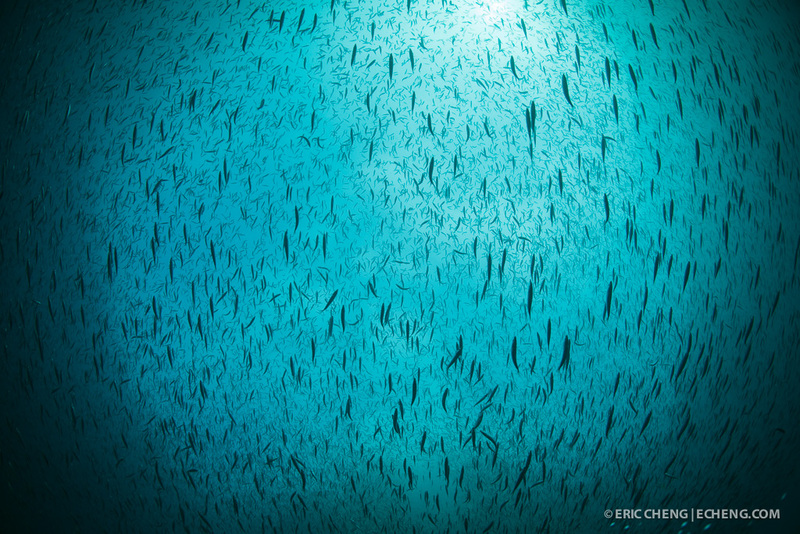 A view straight up reveals a school of thousands of baitfish. 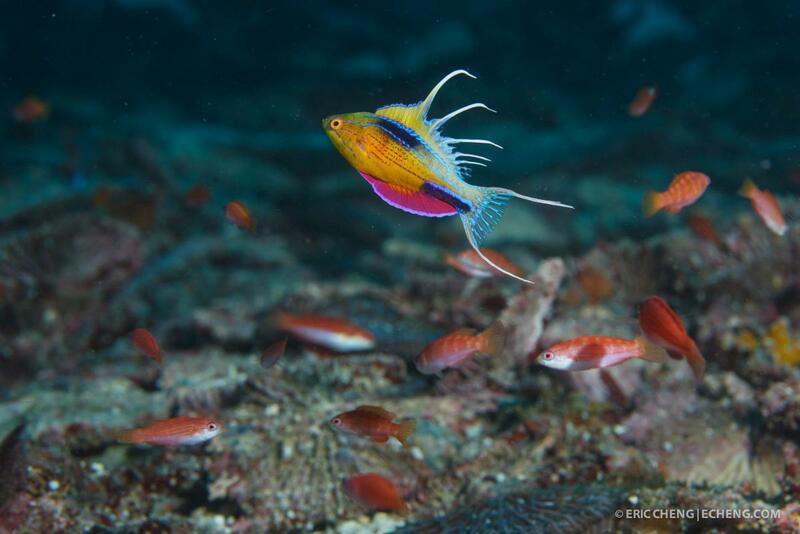 Tim Rock, Triton Bay, Indonesia. 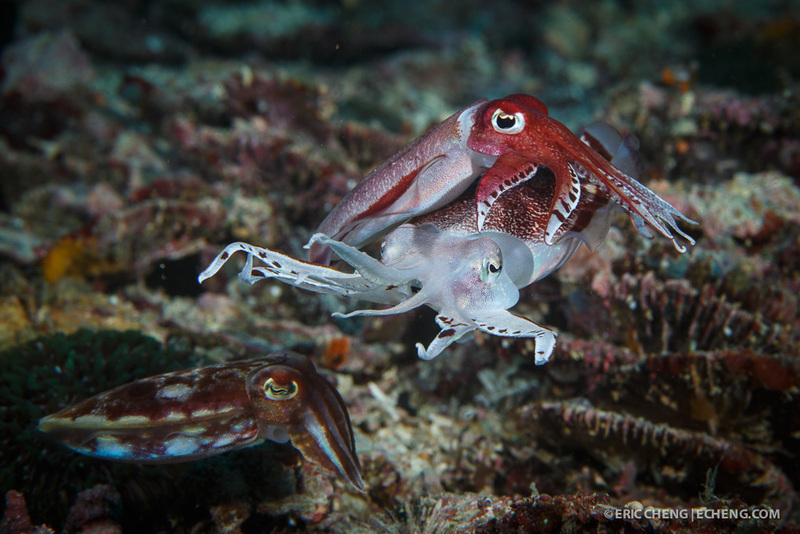 Two male cuttlefish face off in an attempt to win mating rights with a female cuttlefish. Flash Beach, Triton Bay, Indonesia. 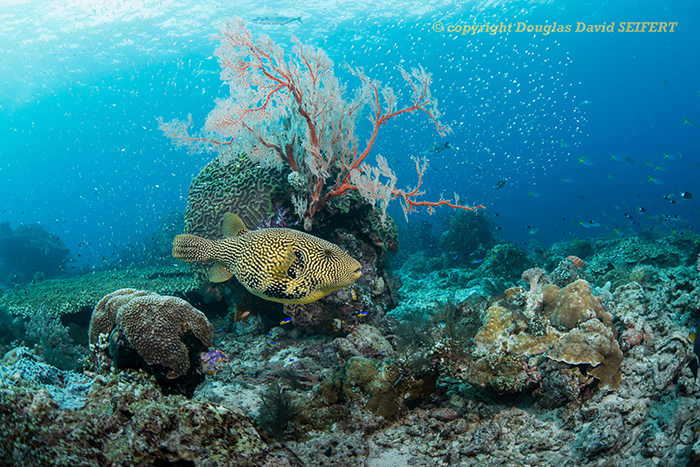 How was the viz and fish life @ Little Komodo? 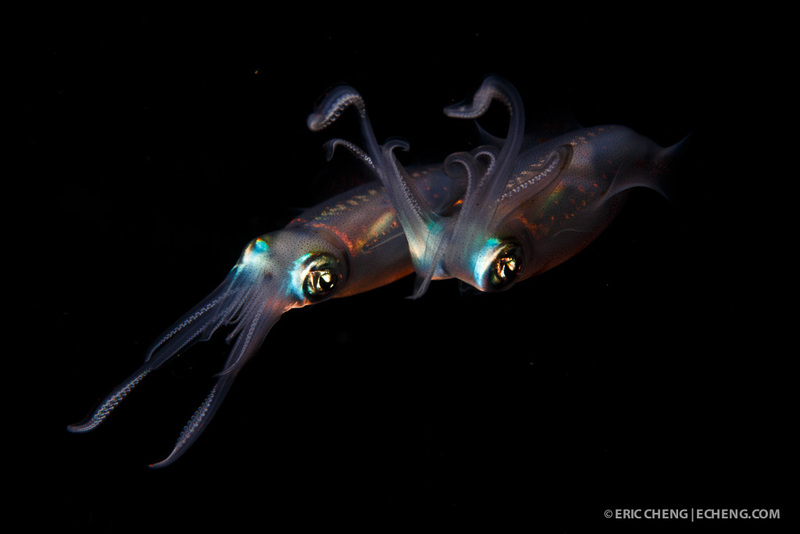 This reminded me of my trip on the Damai in RA, Triton and our abortive attempt to dive our way to Timor. Glad to see Made' is still on the boat. A great DM. I am still trying to put together a video from my trip in March. 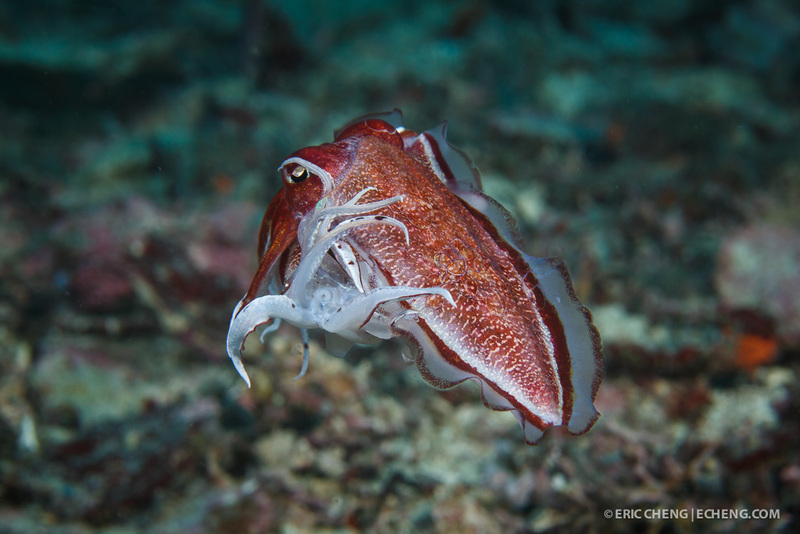 The first time I went to Ambon, I watched a large population of dwarf (pygmy) cuttlefishes (Sepia bandensis) mate for days. 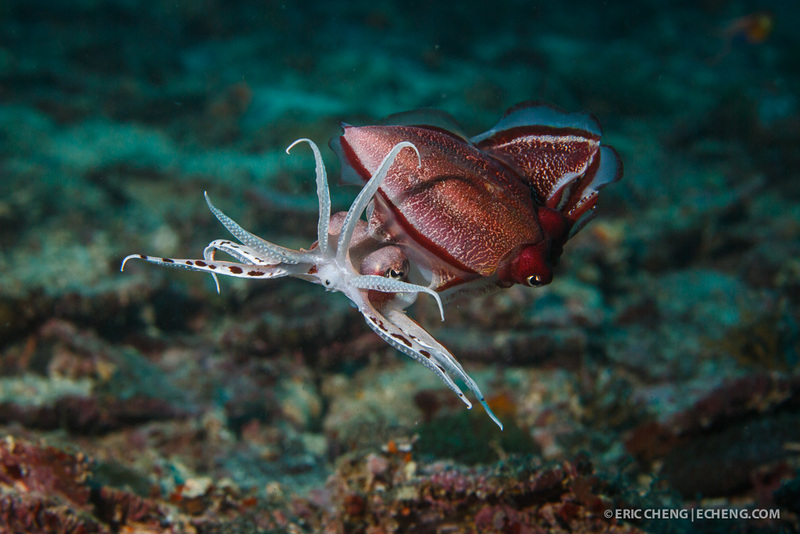 They weren't there when we went back this year, but I did see 6 cuttlefishes mating at Flasher Beach in Triton Bay, Indonesia. 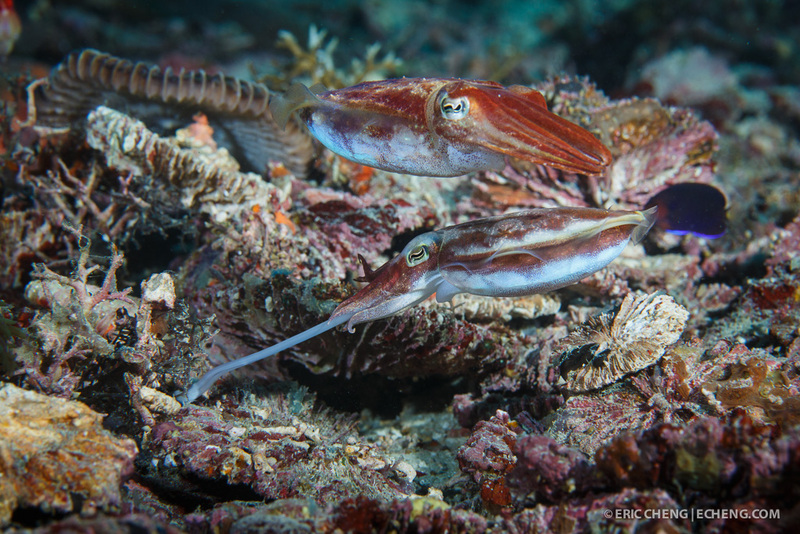 When you see two cuttlefishes together, don't charge in and take pictures. Just sit back and watch. Eventually, they will go about their business again. 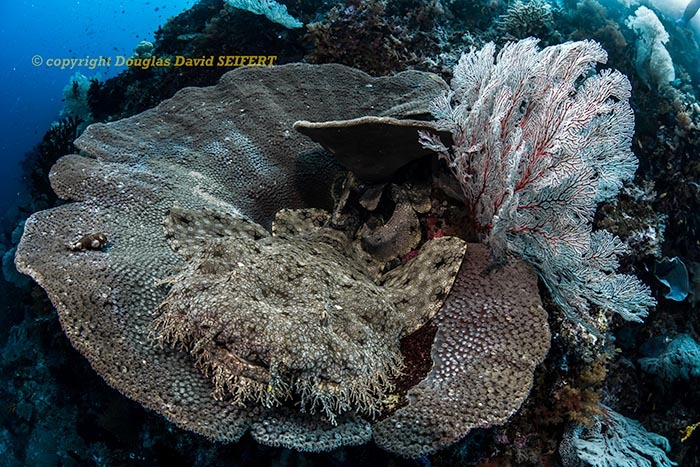 In this case, the female hunted and scouted egg locations by "tapping" corals to see if anything was inside, and the male postured and fought for mating rights (amazing to see). 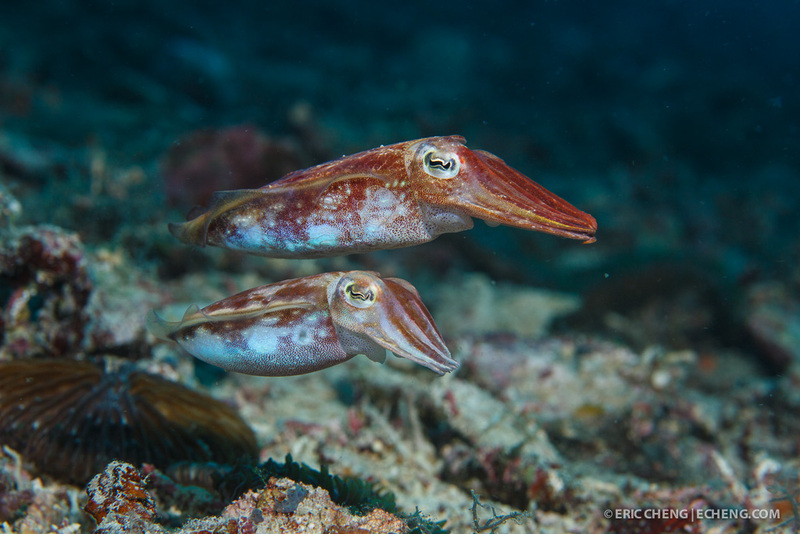 The males become aggressively striped and "spiky" when they see another male, and eventually, the one male grabs the other and flips the other away. 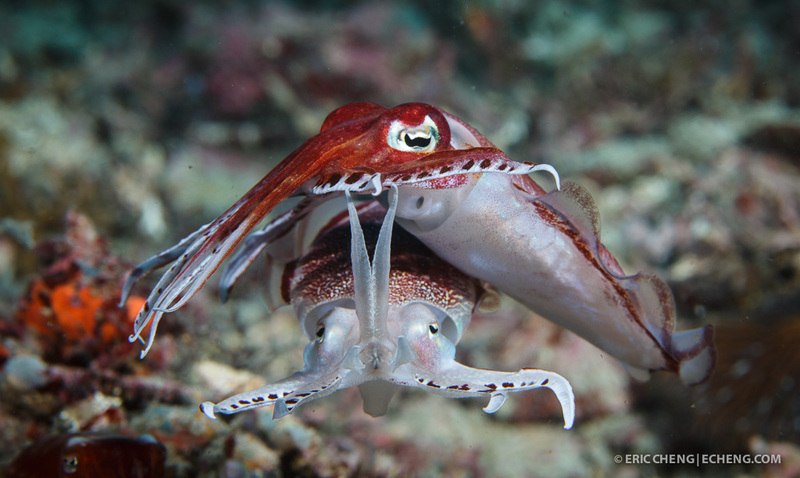 Per the sparring rituals of other species, neither of them appear to actually get hurt, but one clearly wins. I love seeing the entire process, from posturing to courting to mating to egg laying. 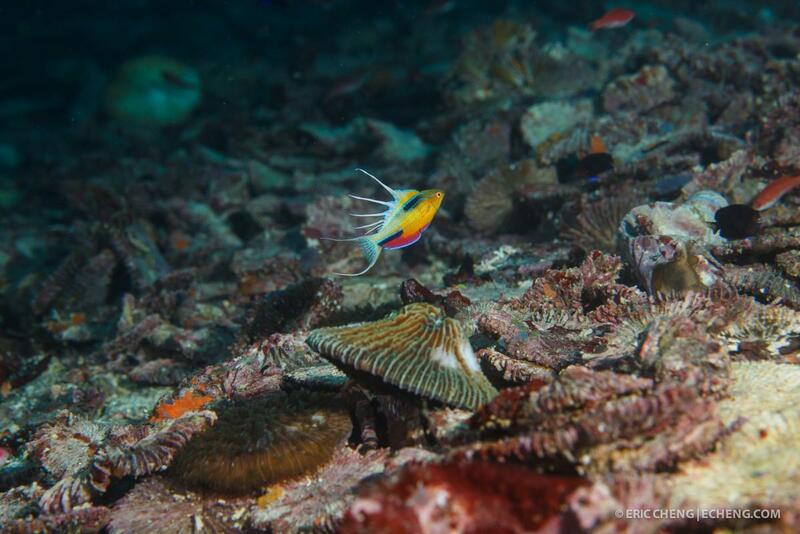 In Ambon, we also saw eggs hatching, but I didn't see that this time around. 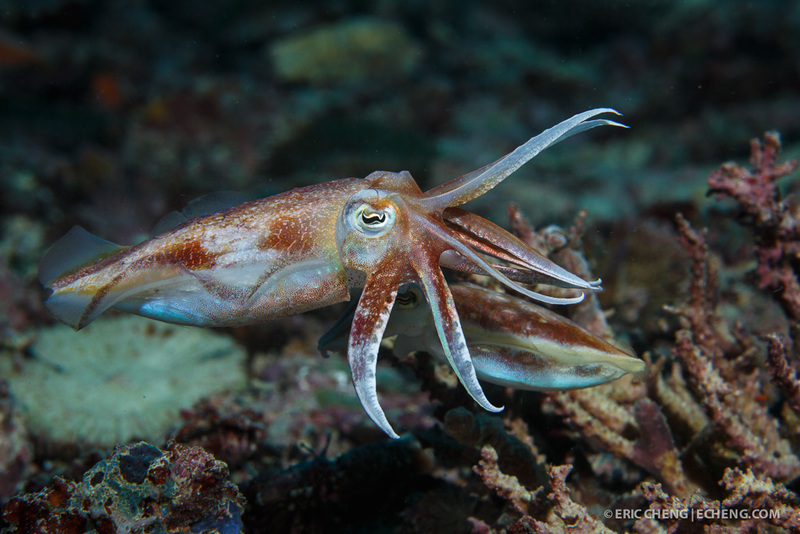 We were at the dive site to photograph flasher wrasse, but I was thoroughly derailed by cuttlefish. Ok - i will give this whole "posting in wetpixel" thing a try! Maybe it will be addicting. 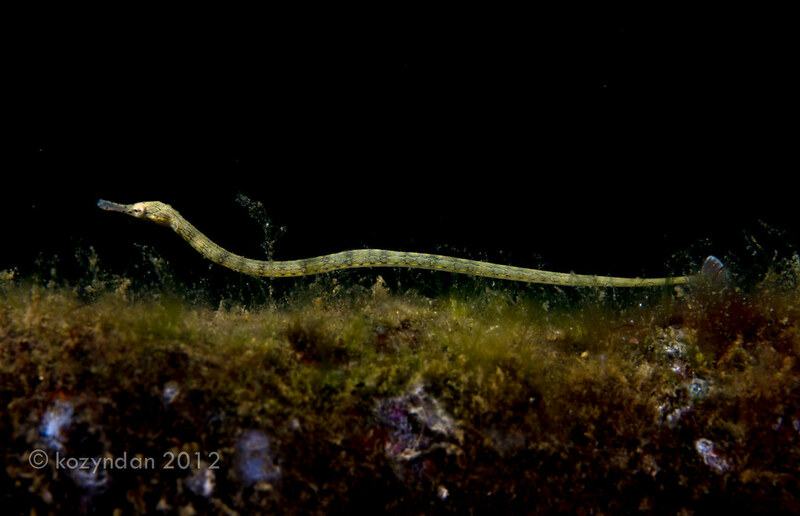 Reeftop pipefish. I watched this little guy for a while. making his way out of a heap of trash and tree branches at 30 ft deep near Rhino City, Ambon, Indonesia. He went all the wat ouf from the mass to the very tip of one branch and kind of flunch himself off and drifted downwards to the seabottom a few feet below and continued to "crawl". The whole thing was kind of surreal like i was watching a slow motion video of some land mammal falling out of a tree. Incredible trip with an unbeatable group. 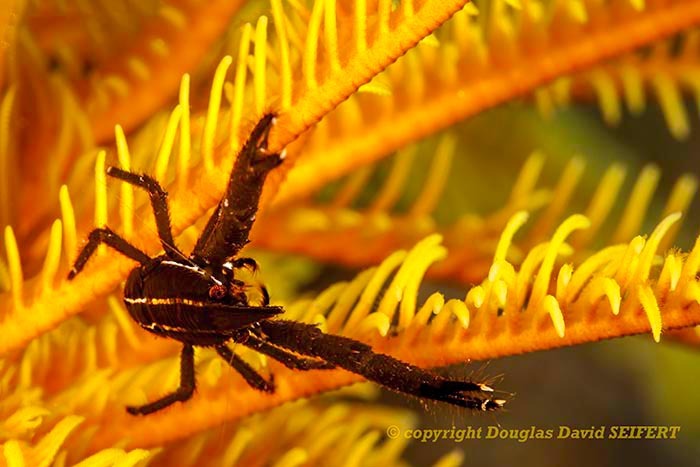 In Ambon I was photographing this emperor shrimp when he darted to the female and..well...you know...nature and all that. 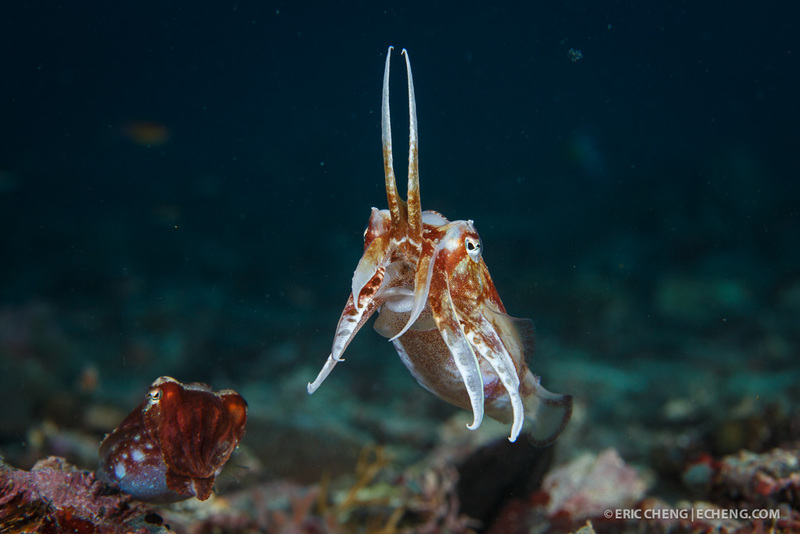 Eric explains it much more eloquently with the cuttlefish. 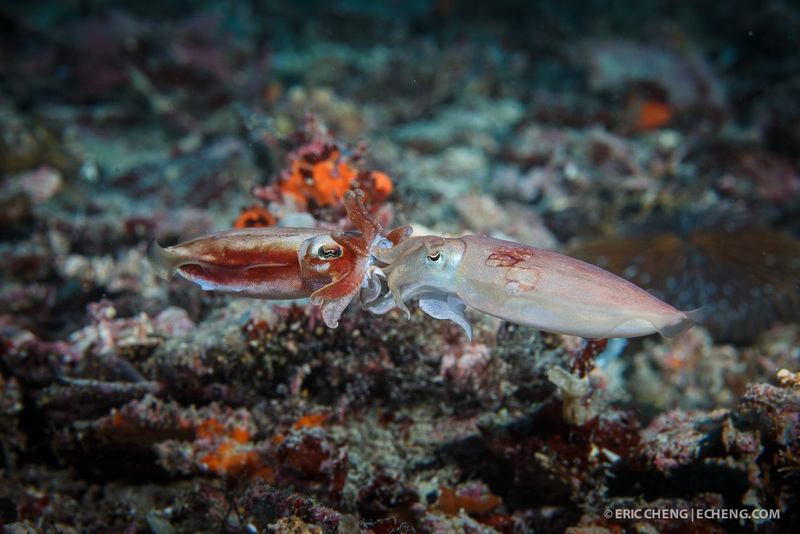 Then again, the shrimp didn't really have the same courtship ritual. Edited by ChristopherRobinson, 19 December 2012 - 10:08 PM. Also in Ambon. I just like the colors. The second leg of Wetpixel Ultimate Indonesia 2012 went swimmingly well. 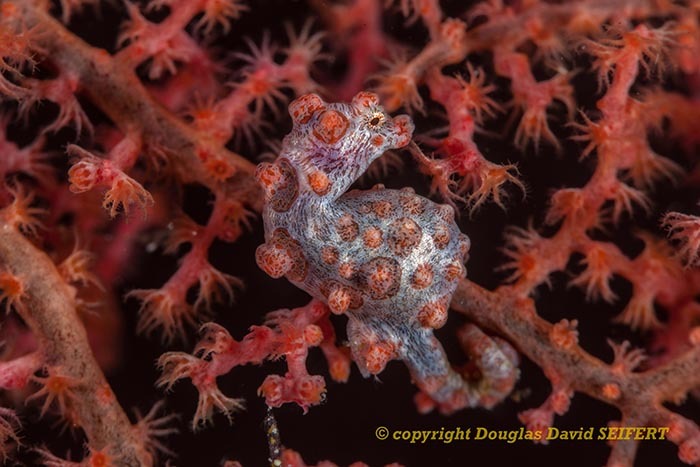 We have an absolutely marvelous group of divers and conversationalists and the trip flew by so quickly with so many fantastic dives that no one wanted to get off the ultra luxurious Damai Dua. 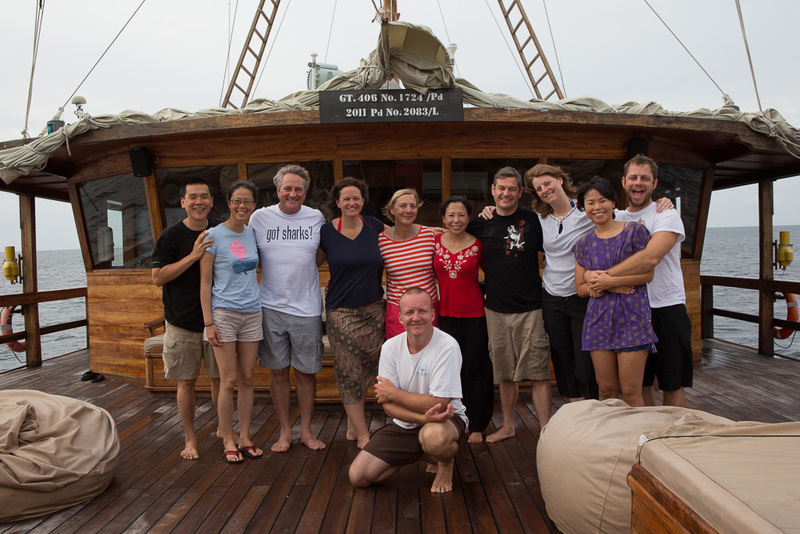 On the last day, we did a group photo: what a damn good looking group of satisfied, relaxed divers. 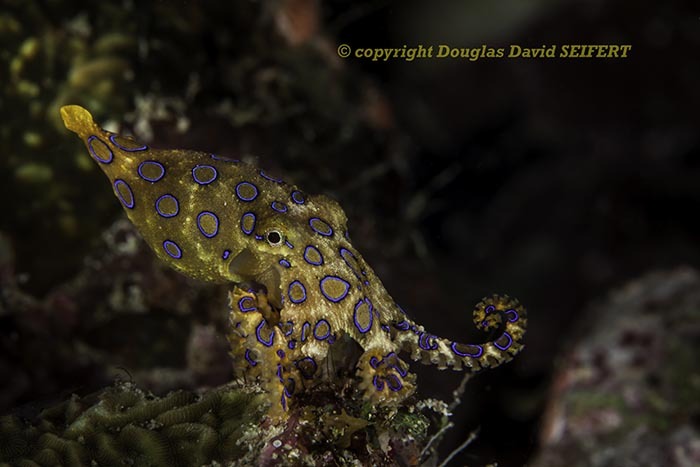 This is what dive trips are supposed to be about! 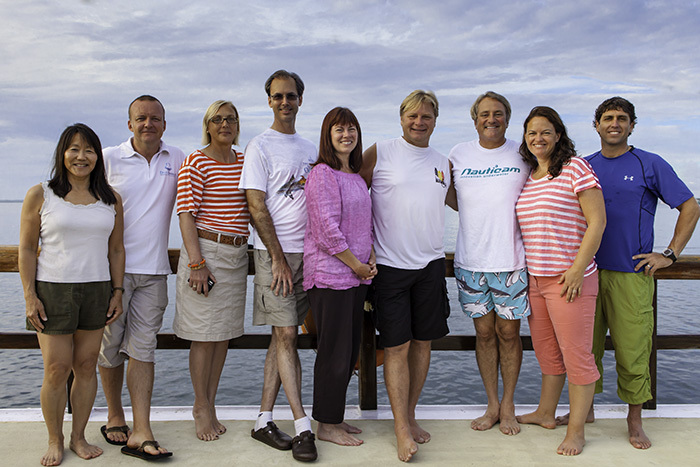 From left to right: Sharon Wada, Cruise Director Par Excellence Simon Marsh, Jenny Chadwick (would-be stowaway), Dr. Mike Buckmaster, Carol "Current Cruiser" Battershell, Greg "Bubba" Holmes, Fearless Trip Leader Douglas Seifert, his wife Emily (who celebrated her 1000th dive on the last day) and Lupo Dion. These posts are unfortunately short as the internet here in Sorong reminds me of dial up and 24 baud and besides, the world is supposed to end tomorrow and I dont want to miss anything by being online when it happens. 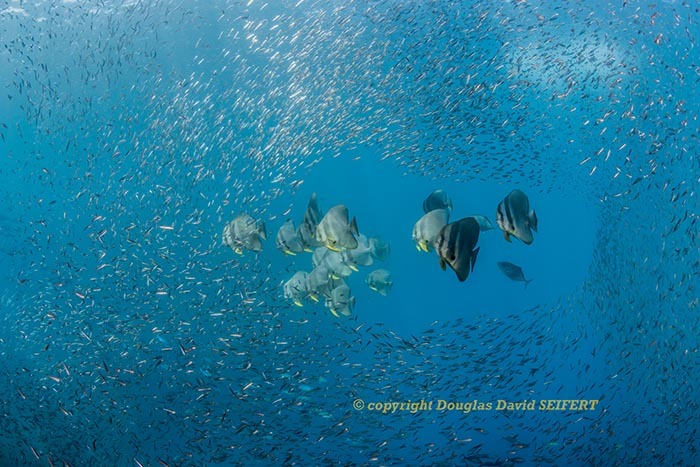 Submitted faithfully, by Douglas Seifert, Wetpixel Trip Leader and World Editor of DIVE Magazine, from inertial Sorong. Edited by Yellowmon, 19 December 2012 - 11:27 PM. Thanks for the update, Douglas! 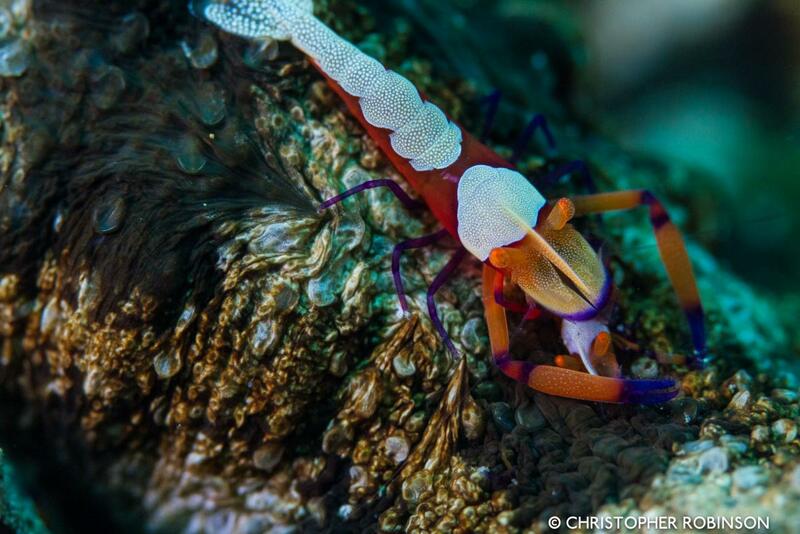 Chris, I love that mating emperor shrimp shot. Here's the group shot from trip 1. 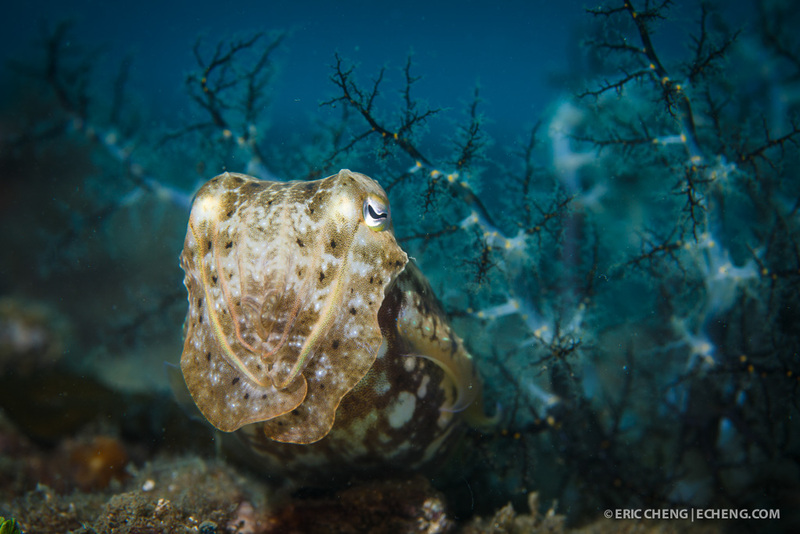 But really, even more important than photo opportunities, are real life experiences in the ever-fascinating, often unpredictable natural world. 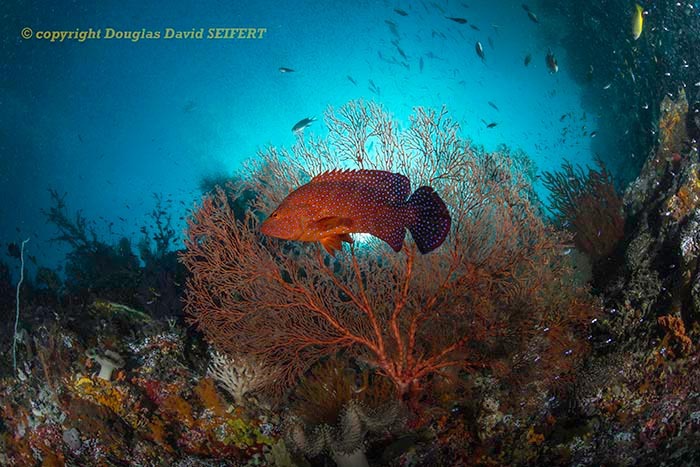 I would rather have a close personal encounter with a marine animal or the sight of a healthy coral reef than a photographic image any day. Fortunately, on a Wetpixel Ultimate Expedition, sometimes you can even have both. 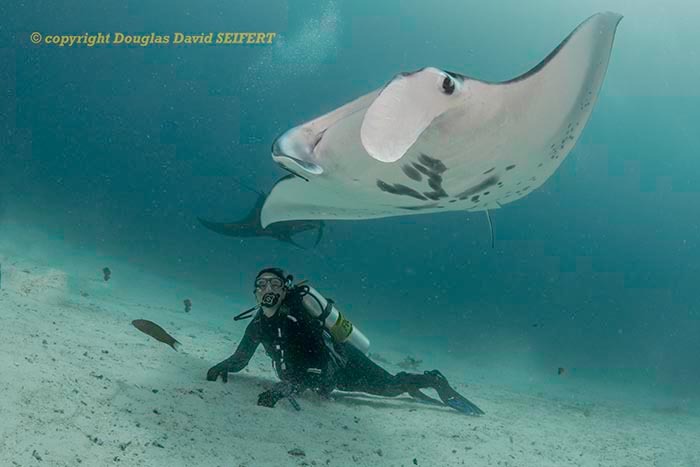 Where else can you have a Manta Hat on a pleasure dive? 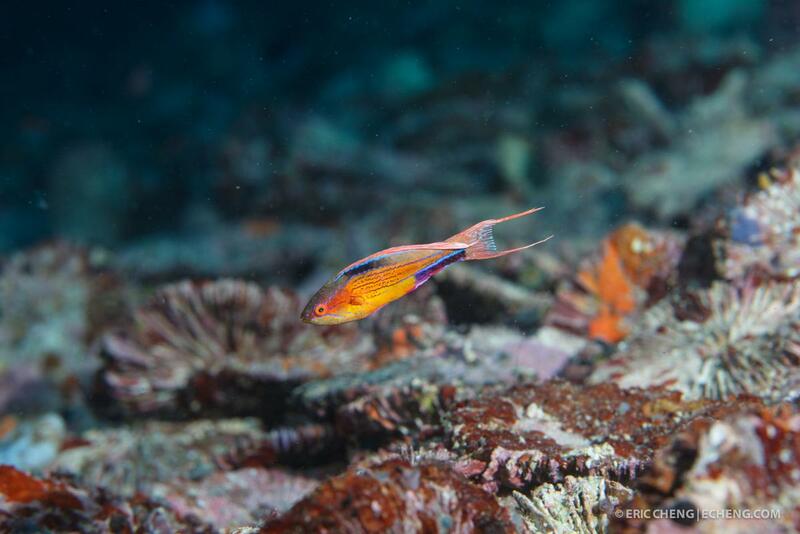 The endemic Triton Bay flasher wrasse (Paracheilinus nursalim). 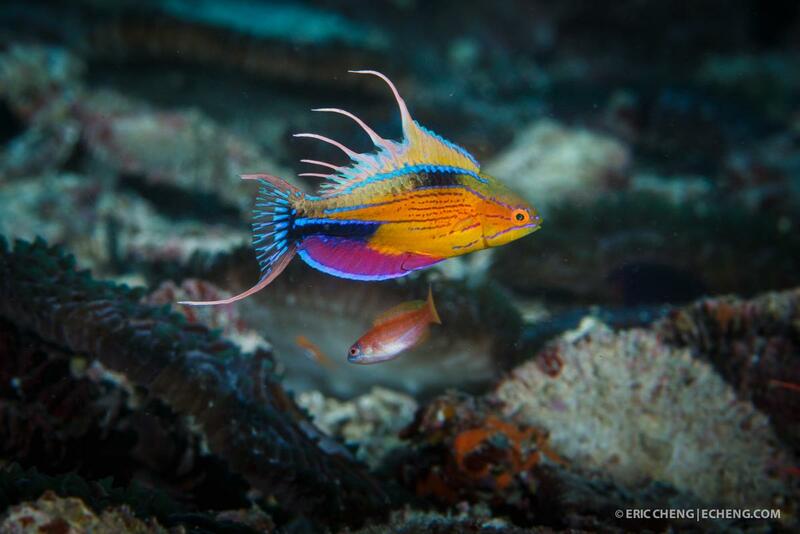 The males are extremely colorful and have filaments on their fins that the "flash" while zooming around, protecting and interacting with their harems and with other males. 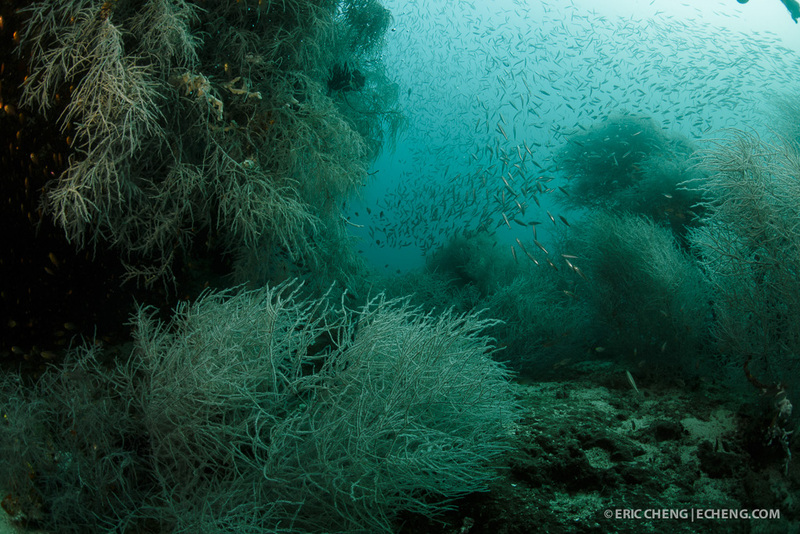 They were 60-90 feet down at a site called Flasher Beach in a huge field of what looked to be Fungia sp. 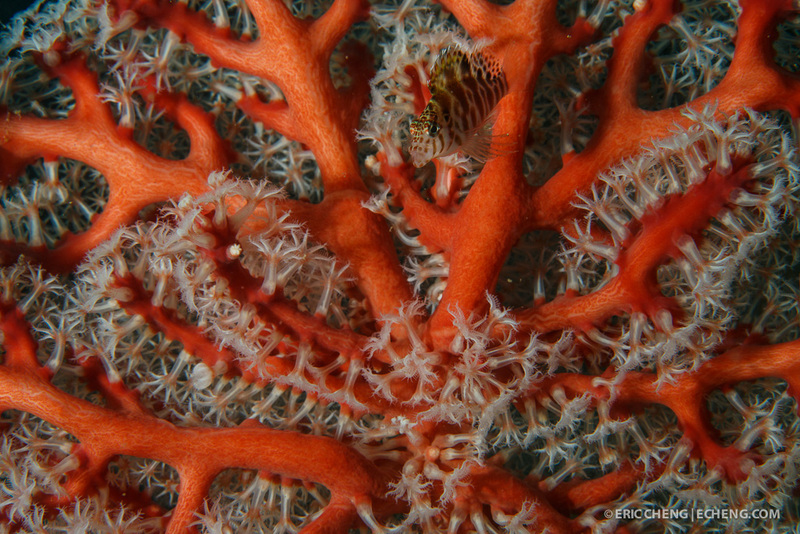 corals. 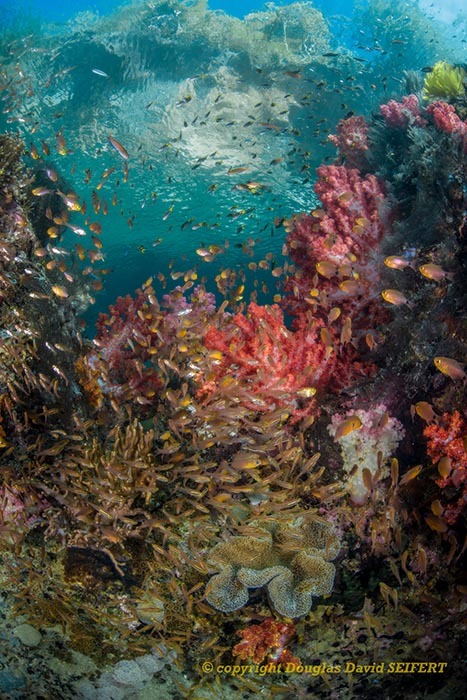 Triton Bay, Indonesia. 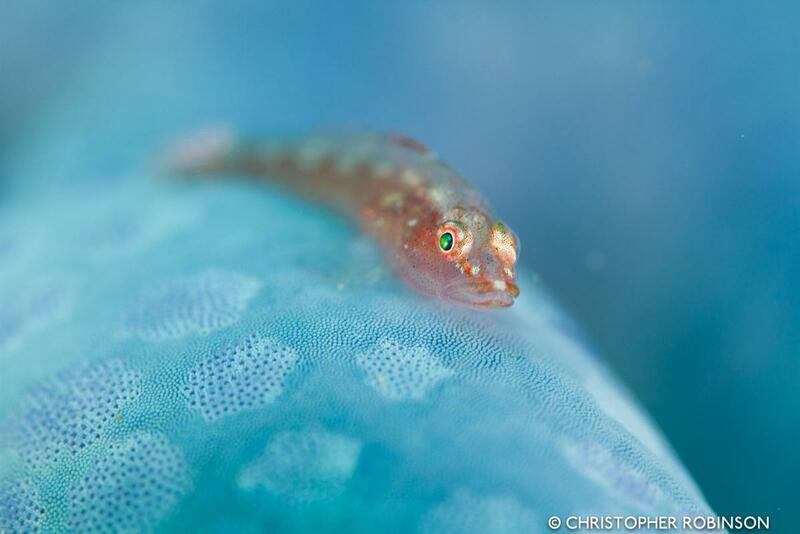 There's also a shot of a filamented flasher wrasse, which stood out in the field of P. nursalis. All pictures shot with Canon 5D Mark III and 100mm/2.8L USM macro lens (mark I). Canon 5D3 auto-focus rocks. I always have it set to the back button so the camera doesn't hunt when I don't want it to. What's that Creature from Indonesia?